Both granite and marble are aesthetic natural stones quarried from the earth. But there are essential differences between them. Porosity, resilience, and durability become key factors when deciding which one is best for your needs. And all these factors have a bearing on the price. 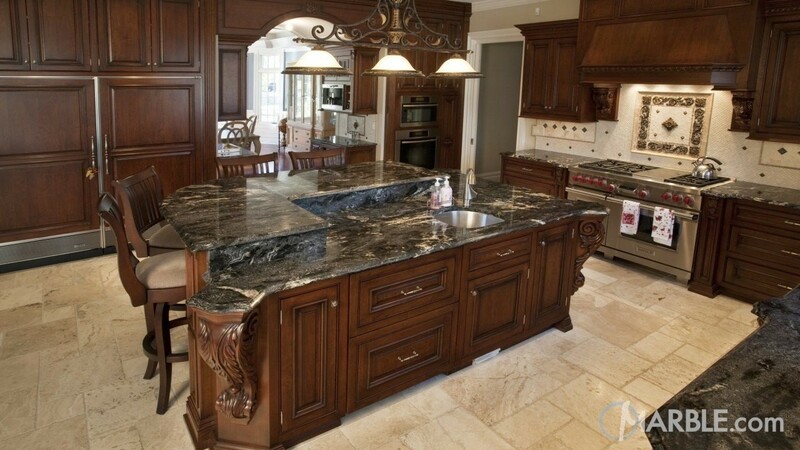 Basically, granite is considered more practical and holds up to the rigors of everyday use, while classic marble is more suitable for less-trafficked areas. Granite is an igneous rock forged deep underground and contains quartz, feldspar, mica, hornblende, and flecks of other crystalline minerals that account for granite’s granular appearance and an amazing variety of colors and patterns. Resistant to most acids and to scratching, functional granite is the stone of choice in high-trafficked areas where class and style are desired. Granite slabs come in two basic categories: “consistent” and “variegated” (or movement). Many will fall somewhere in between, but it’s important to know the differences. 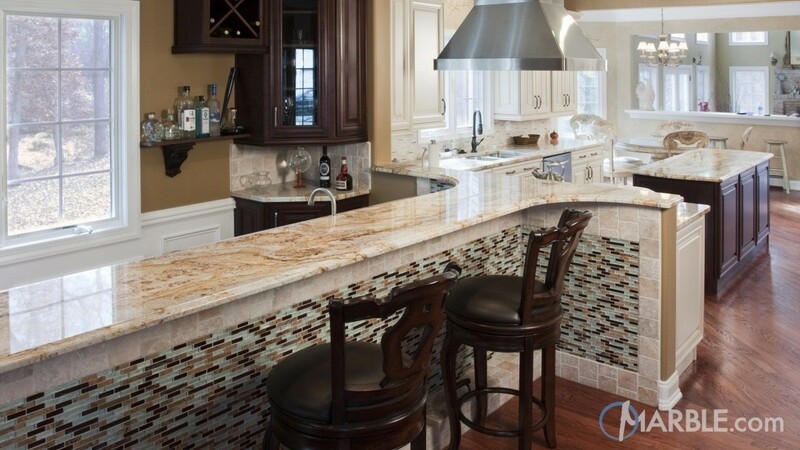 Consistent granite displays an unbroken or constant pattern. Interesting natural inclusions can occasionally interrupt the pattern but give the stone character. Consistent granite slabs may be easier to join at the seams, but keep in mind that almost any fabricated piece can be fitted together with another without losing the flow of continuity. The veining movement in variegated granite slabs is what makes them distinct. Usually expressed in swirling arrays of different colors that may or may not repeat in clusters, variegated marble offers the advantage of making any homeowner’s kitchen into a unique and subtle showpiece. Granite’s resilience to abrasions, stains, and discoloration makes it a popular choice in country farmhouses as well as city condominiums. It functions remarkably well as a surface for accent islands, bar tops, dining tables, and flooring. Marble is metamorphosed limestone — a conglomerate of sea shells, corals, skeletons and other calcite materials that settle out in water. Compressed into limestone, under the right conditions, over time, it transforms into marble. Calcite gives the stone a porosity that reacts with the acids found in citrus fruits, vinegar, tomatoes, and some cleaning agents to strip away its polish. Often reserved for ornamental furnishings, marble is durable enough to be used as flooring, walls, and even countertops throughout the house, including the kitchen… But only if the homeowner is willing to provide the level of maintenance required to keep that glossy finish intact. Marble adds timeless elegance, especially to the bath. Used as shower tiles, flooring, or in tub decks and vanities, its classic beauty can last for generations. Marble is generally grouped into families defined by their color and characteristics. Not all are marble. The “green” variety, for instance, is a natural substance called serpentine. For that matter “black granite” is usually basalt. This distinction doesn’t matter from a usage standpoint, but concerning import duty, it puts certain stones into a different classification. Understanding these important differences will help you select the stone that most perfectly fits your household needs with confidence.